There is something exceptionally therapeutic about painting your nails, and honestly, we don't think it's just because we work in the beauty industry. Not only is the act itself calming (we like treating ourselves after an especially long day), but a strategic color choice can actually make a big difference in how we feel mood-wise. Of course, there are countless studies correlating certain colors to certain energies (how many times, after all, have you heard cooler shades will soothe and warmer shades will cheer or energize? ), but we also know that color is extremely personal. What one person loves another might loathe. And after years and years of coating our tips with pretty much every shade under the sun, we've found certain hues just make us happier than others—science, be damned. 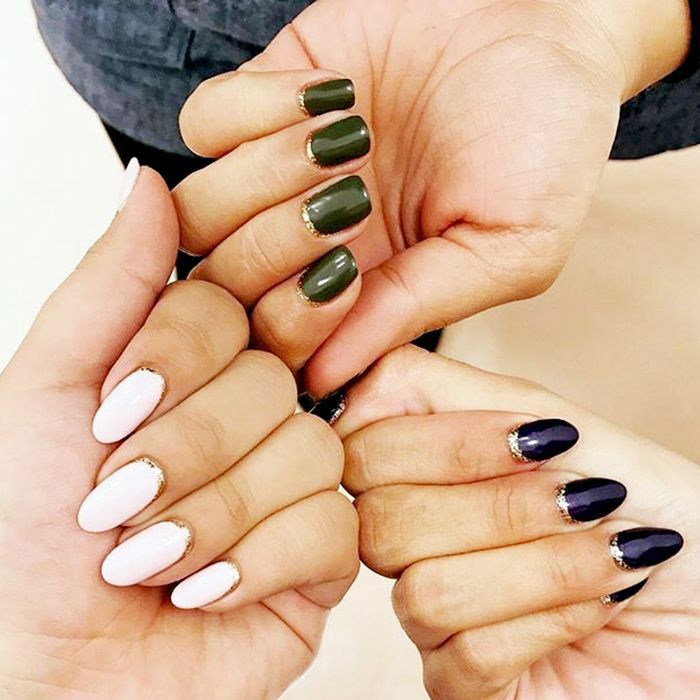 So I decided to ask all of my manicure- and DIY-loving co-workers which nail polish colors they come back to again and again. For some, certain shades are purely nostalgic, while others are addictively whimsical, supremely flattering, or just straight up badass. 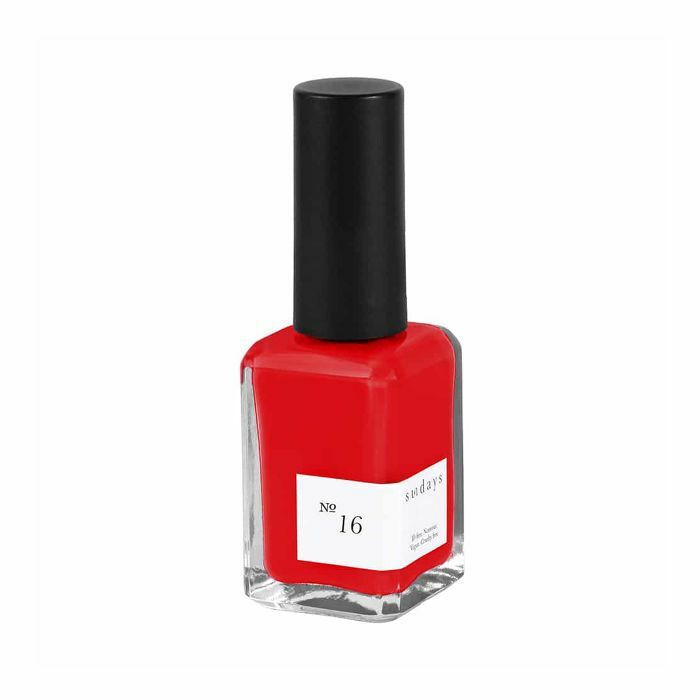 Keep scrolling for 14 mood-boosting nail polish colors dearly beloved by Byrdie HQ. 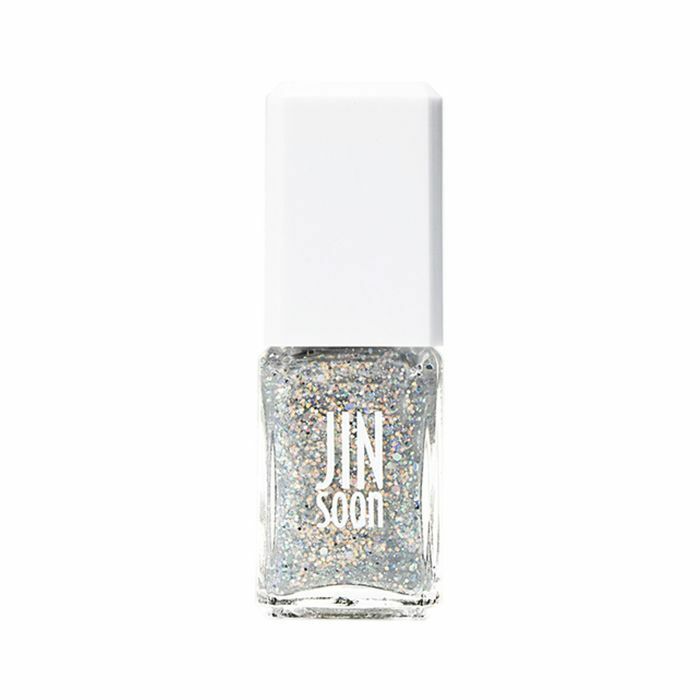 According to Jinsoon, this glitzy utopia represents a "mélange of holographic silver flecks in a variety of sizes to be worn as a magnificent nail accessory on its own or on top of a cherished nail polish." Faith swears by this confetti-esque number as the ultimate day brightener. Nontoxic, vegan, and 10-free, Sundays is one of the most covetable clean nail polish brands in the industry right now. For instant cheer, Faith loves to dip her fingers in Ruby Red, a pure gem if you're looking for a midday pick-me-up. "I'm really particular about nail polish," Aimee told me when I asked her for her top mood-boosting shades. "I almost exclusively wear deep, dark aubergines; reds; black; or nudes. 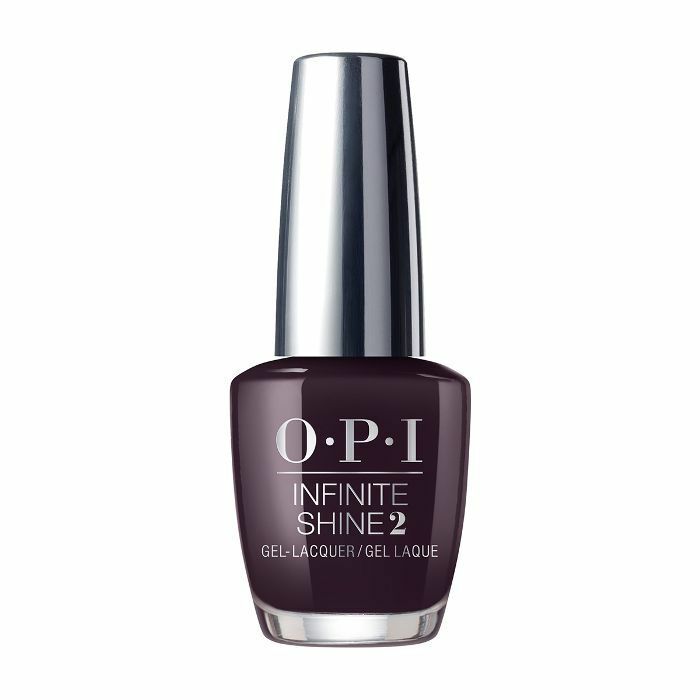 There are very few exceptions to this, and there's just something about this cult-classic deep purple that makes me feel like I can take on the world and that I'm not to be messed with. It gives me enough confidence to conquer anything the day throws at me." For the record, Byrdie assistant editor Maya Allen agrees, telling me Lincoln Park After Dark is her one go-to shade. "It just makes me feel like a chic badass," she says. 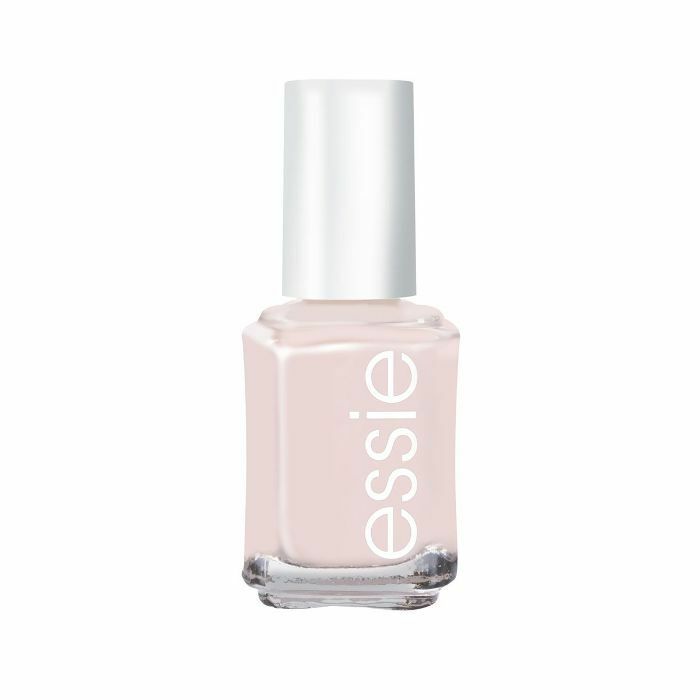 "My best friend and I have a running joke about pale-pink nail polish, specifically Essie's Ballet Slippers," says Aimee. If you get your nails done in this color, you'll leave the nail salon feeling 10 pounds lighter and like your whole life is in order. I know it seems silly, but try it! There's just something about this timeless color that makes me feel like my best self." 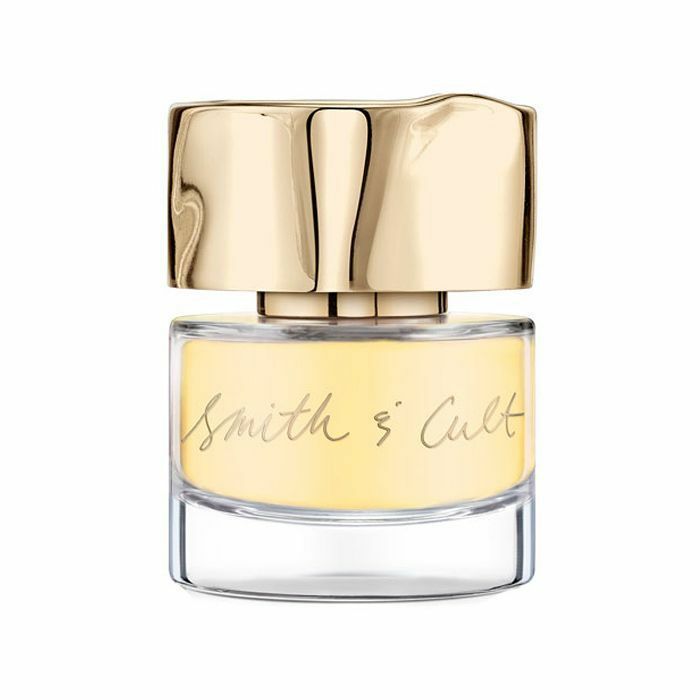 There's something about buttercup yellow that's impossible not to love, and for me, this warm, springtime shade is an immediate stress reliever regardless of the season. Even though I'm typically not a fan of yellow, I can't help but smile (as corny as that sounds) when I'm wearing this color. Plus, it just reminds me of the 1968 song "Build Me Up Buttercup" by The Foundations. I'm an old soul and love it. I'm notoriously horrible at making decisions, so choosing a nail color always becomes way more of an ordeal than it needs to be. That being said, Risky Behavior is one of my all-time favorites, and it's the perfect vibrant antidote when I can't decide between pink or purple. Plus, I always get compliments when I wear it. And who doesn't love to receive compliments? Even though mint green is often thought of as a spring or summertime shade, I find myself wearing it through every season and temperature change. 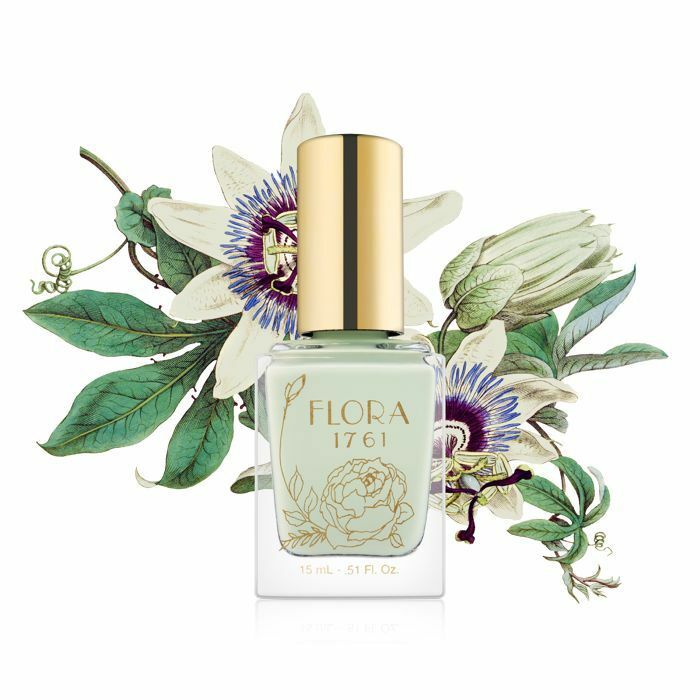 It's a great alternative to neutral, it reminds me of my favorite ice cream flavor (mint chip, duh), and I find this shade in particular from Flora 1761 to be especially flattering and long-wearing. Recently, I've really been loving this pearlescent Victorian pink cutely coined Maryann. It's classic, it goes with everything, it's charming, and I love the subtle flecks of shimmer which appeal to my sparkle-loving self and add a little bit of intrigue without feeling over-the-top. As far as Byrdie-approved mood-boosting nail colors go, I immediately noticed red as a common theme. 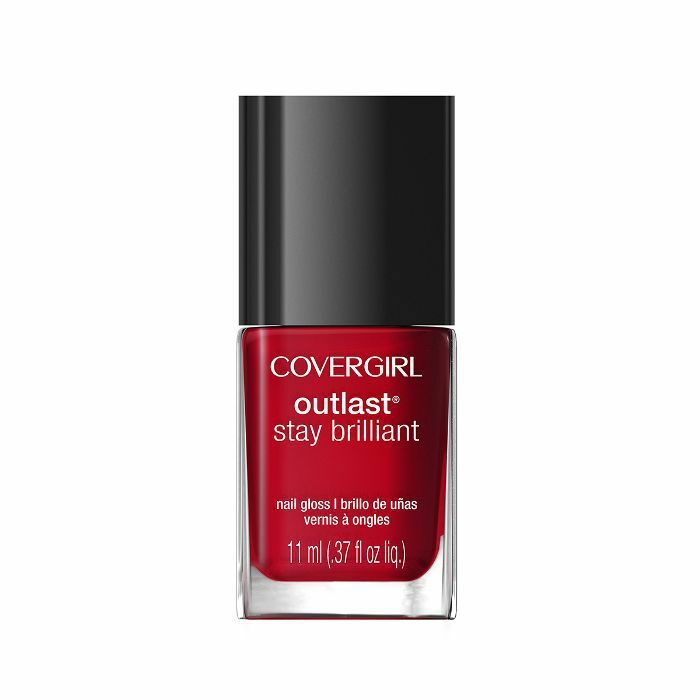 It's one of Kaitlyn's favorite hues (especially come summer), and this one from Covergirl boasts an impeccably glossy finish which takes the shade's already inherent cheeriness up an octave. On the other side of the spectrum is this bold shade of royal blue from Revlon. 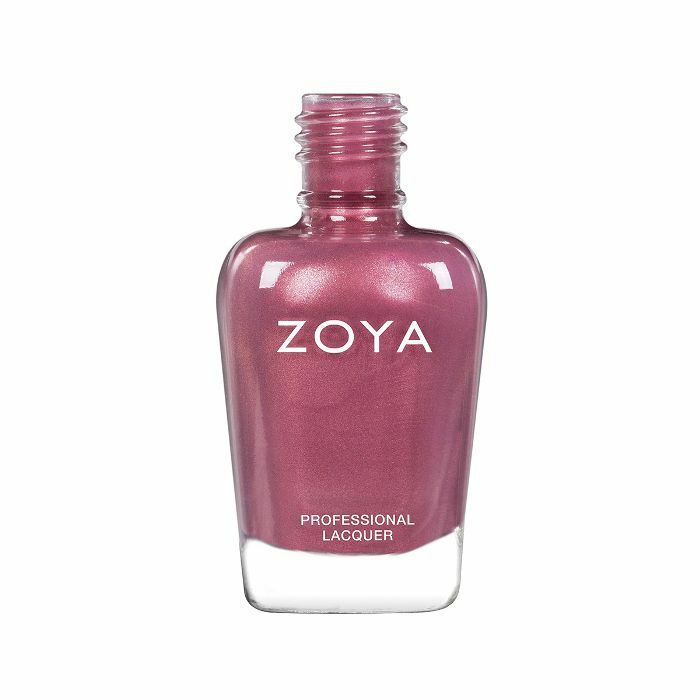 Kaitlyn told me she loves nail colors that are a little more out there, and this unexpected yet intriguing color fits the bill. Oh, and since it's part of Revlon's long-wearing gel collection, she doesn't have to fret about annoying chips and dents post-paint. 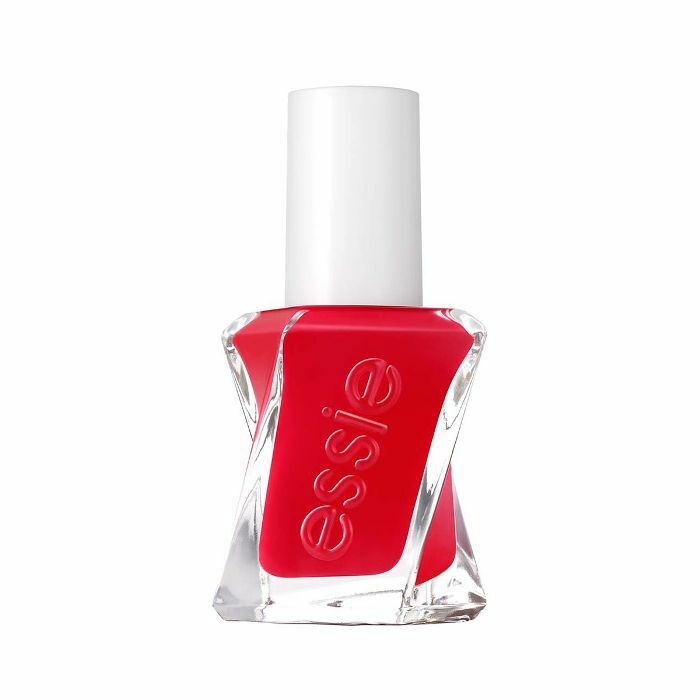 "I swear by this shade from Essie because of the name and the bright summery shade," Lindsey said immediately. A lively and creamy hue of "red-orange sunset" (says Essie), it's a brand classic and flattering on every skin tone, which is surprising since orange is typically tricky to pull off. For a soothing wash of color on her nails, Hallie tells me that, like Faith, she's been a fan of Sundays' pretty array of colors. This dreamy periwinkle hue is at the top of her list for immediate pick-me-ups. According to the brand, it's reminiscent of the Mediterranean Sea, which pretty much begs happy thoughts, right? A juicy shade of bright red is Amanda's signature nail MO. 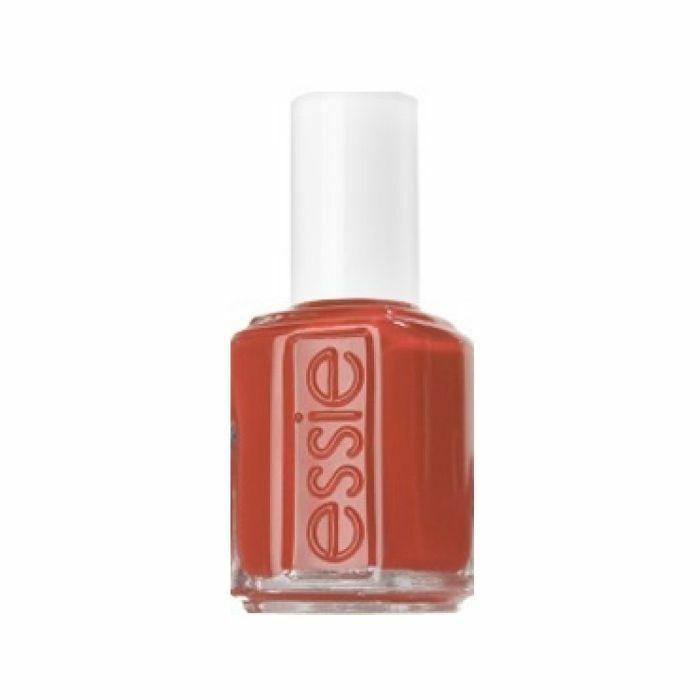 Not surprisingly, she credits this long-wearing gel formula from Essie as one that consistently makes her feel happy. Thanks to the handy durable finish, it lasts days (and even weeks) without so much as a chip. Plus, it has a slight cast of magenta, which makes it all the peppier. While red is a true classic, Amanda's other mood-boosting nail color is a little more whimsical. 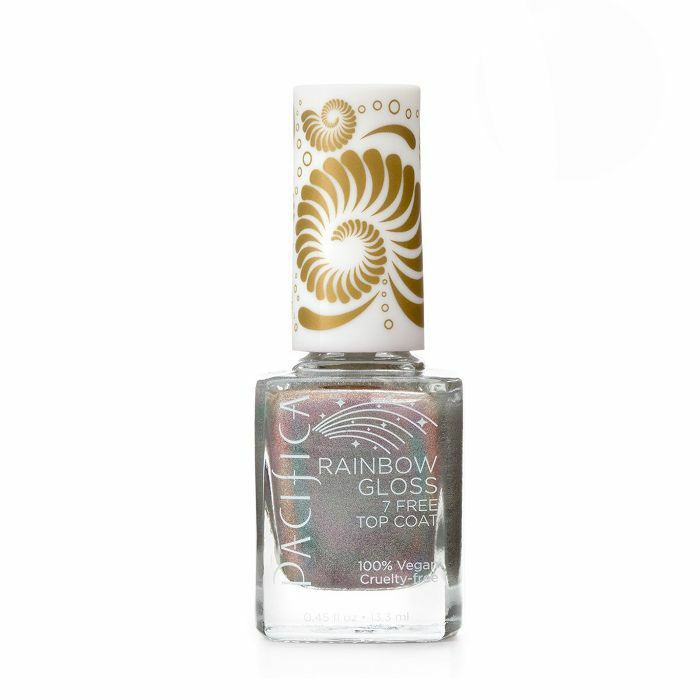 She tells me she loves this rainbow holographic number from Pacifica. The formula is seven-free and 100% vegan and cruelty-free.